This topic has 3 replies, 4 voices, and was last updated 1 year ago by zeerf. HEAT 2 is the follow up class to HEAT 1. 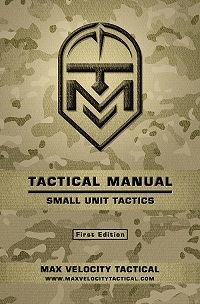 While HEAT 1 focuses on individual rifleman skills and the basics of team movement, HEAT 2 teaches students how the basics of team movement can be applied in direct action and reconnaissance. It’s also the first time MVT students are exposed to Troop Leading Procedures and have the opportunity to volunteer as a team leader and/or patrol leader. 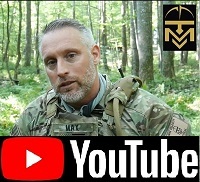 Walking into Day 1, the expectation is that your rifle is zeroed, you have your kit sorted out, and are able to effectively run your rifle in a high threat environment. 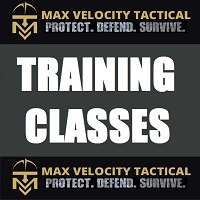 With MVT’s fitness prerequisite, there is also the assumption that you are capable of moving athletically across mountainous terrain and going into a kneeling/prone position while maintaining situation awareness and muzzle control. From this alumni’s perspective, the physical ability of students at MVT classes has steadily been rising every year, and was especially noticeable during this class. This is important for not only safety, but also for the smooth execution of team tactics, especially when it comes to more advanced drills. The Velocity Training Center (VTC) itself is continuing to develop in an effort to improve the learning environment for students. During the class, the team cabin was used for lectures, when possible. With its HVAC and electric, it allowed students to stay focused on the lessons without being distracted while trying to keep warm in the morning hours. There have also been additional pop-up target pits dug in certain lanes, allowing for greater realism in drills. Looking ahead, there will be further improvements to the facility that will provide students with an even better training outcomes. Day 1 of HEAT 2 is primarily focused on reacquainting students with the fundamentals of team movement: RTR drill, bounding forward, bounding back and peeling. It’s also time spent getting team members comfortable working together, remember, SUT is all about team work (aka “It’s not about YOU”). 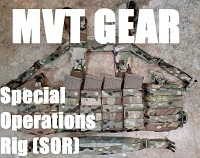 For those who have not attended an MVT class in a while, some TTPs have evolved, namely Move Fire while bounding forward (and when appropriate). The morning of Day 1 is all about getting everyone on the same page. On a side note, Day 1 started with a few rifle malfunctions during drills, but seemed to disappear for the rest of the class. Make sure you’ve run your rifle recently and that it’s properly lubricated. In some drills, you might already be working at your functional limit and a malfunction might move you beyond that functional limit. At this point, many students have learned “not to get sucked into Ivan,” but can still succumb to being sucked into a malfunction. In the afternoon, students apply the basics at the 5-man team level to battle drills like react to contact, break contact, and assault. Everything is briefed, then rehearsed, then performed live fire. This ensures students know exactly what to do. The instructors maintained tight control of the students during live fire, making me feel comfortable from a safety perspective. In the early morning of Day 2, we did some basic live fire drills, now working at a 10-man patrol level. Following that, we dove into recce/recon patrol theory the rest of the day. The personal highlight of the class for me was then briefly planning and executing a day/night recce that began slightly before sundown and finished sometime around 2230 hrs. This was a great opportunity for students to work independently, test out their skills (and equipment) at night, and work on the ability to move silently in the woods. In my mind, the reconnaissance patrol is the most important but least glamorous patrol type. Intelligence is VITAL. Having the ability to go out and get it is a key enabler for strong mission planning. Requires manpower to be effective (more than you might realize). 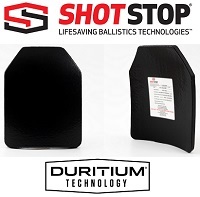 We used a notional rear security element, for example. Getting off the objective quickly also takes skill and practice. This can be severely complicated if casualties are taken. Day 4 is focused on the hasty attack and raid. The raid is the culmination exercise and allow students to experience sequencing through support by fire and assault positions. By the end, I think we had meshed pretty well in our teams and as a patrol, and a multiphase drill was executed pretty successfully. If you have only done HEAT 1, you need to get yourself to HEAT 2 so that you can “have a clue” in terms of using the skills of HEAT 1 in specific situations/missions. If you’ve taken Combat Patrol a long time ago, the course has greatly changed and would be well worth your time. Even if you consider yourself pretty squared away, these skills are highly perishable and require periodic refreshes in order to stay current and continue to grow as a warrior. We had a great group of guys, with world class instruction, in a well-developed training facility. See you on the ranges. Thanks for the informative review. Looking forward to taking the next HEAT 2.